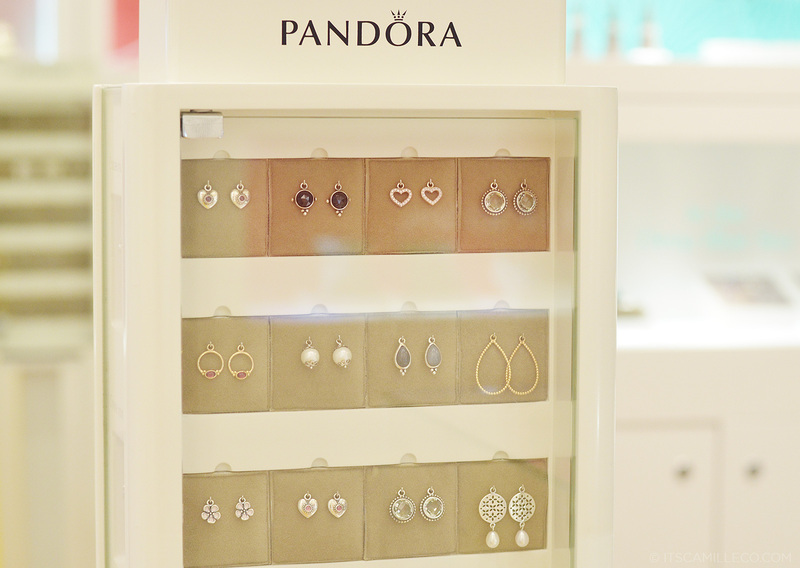 I always see Pandora around whenever I shop here and abroad. I must admit though that I never went into one… until now. I don’t know why it took me this long to discover all the beautiful jewellery it offers. I actually got to see most of them during my Pandora shoot a few weeks back. Yes, I’m a lucky girl! Even luckier now because I got to experience picking out my own Pandora bracelet! 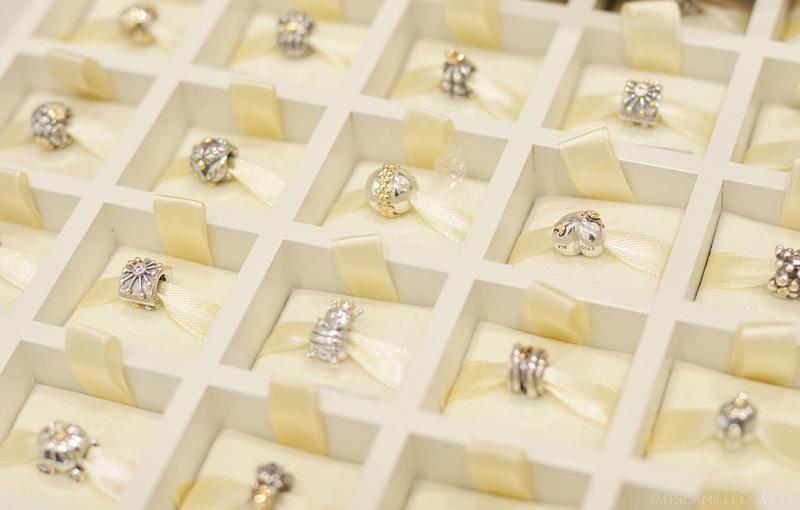 Pandora isn’t just about the bracelets and charms though. 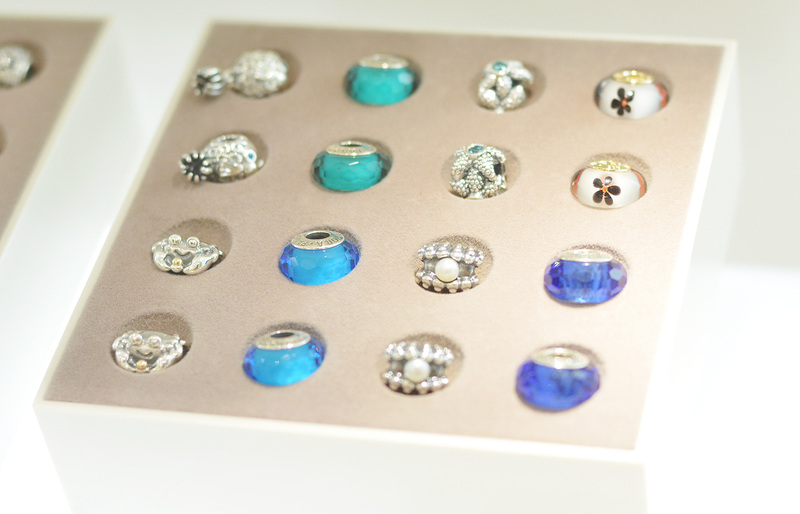 It also carries dainty rings like these that are perfect to mix and match. 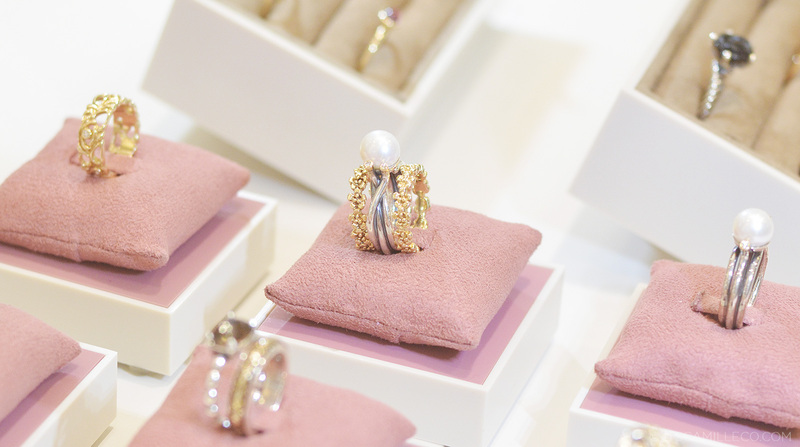 My favorite is this pearl ring at the center. 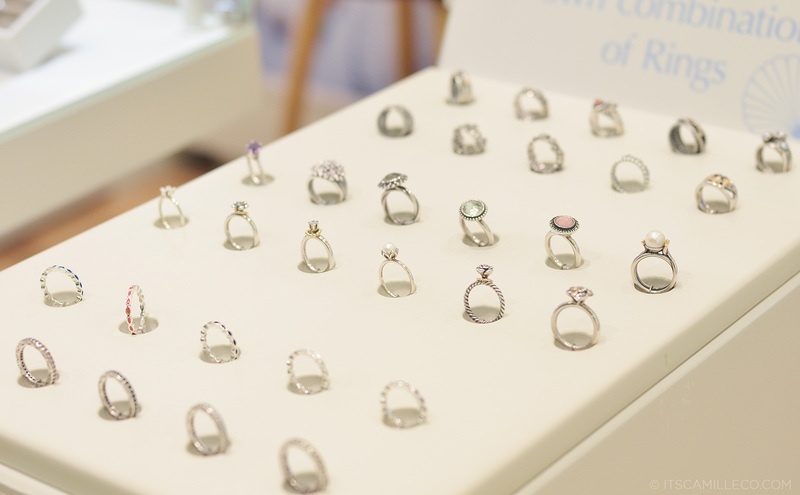 And these rings that are great for stacking. 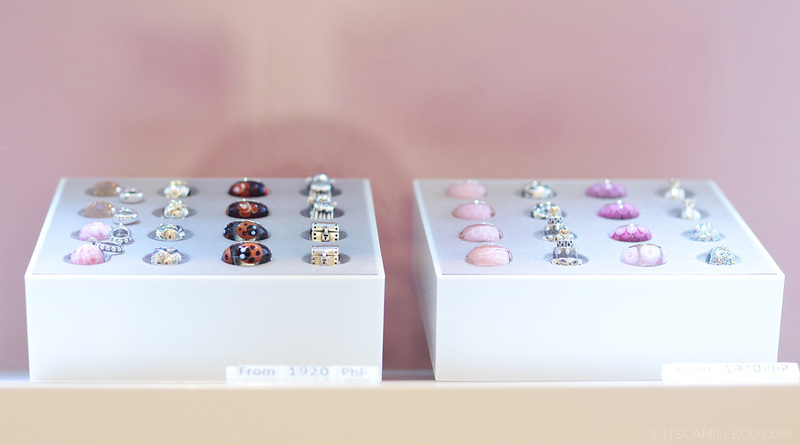 Like Pandora’s rings, its earrings are as girly as ever. 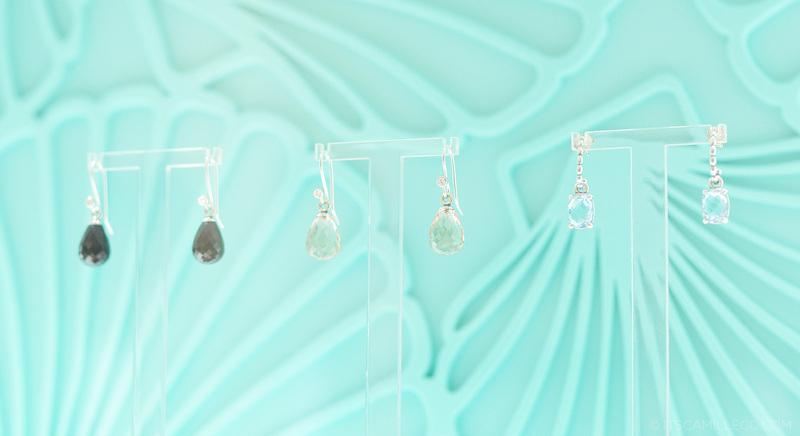 There are pieces in sterling silver, 14k gold, two-tone and gemstones. 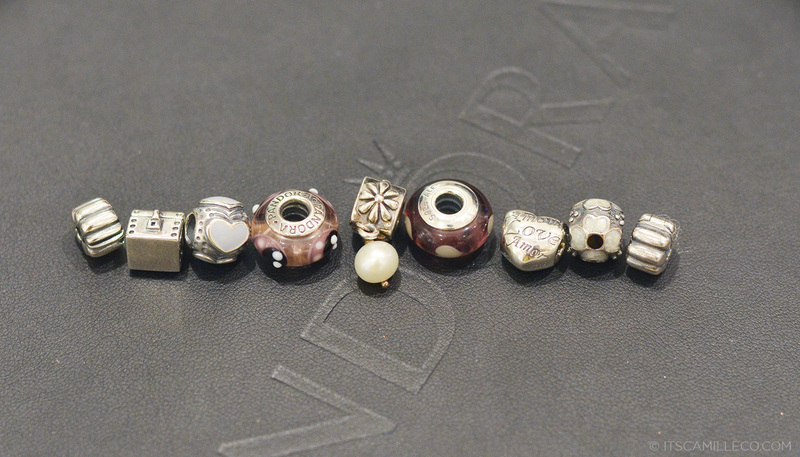 Pandora’s charms aren’t for bracelets only, you can use them to design your Pandora necklace too! These are just a few of the charms you can choose from. 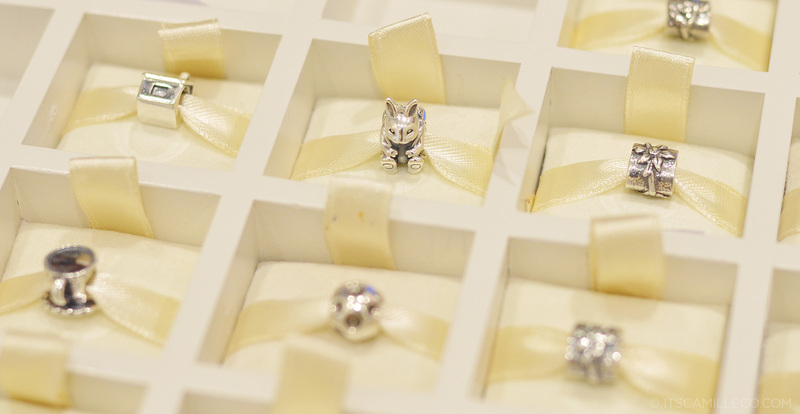 Pandora practically has all the charms you need for each of your special moments, from cute charms like rabbits and teacups to romantic charms like hearts and diamonds. 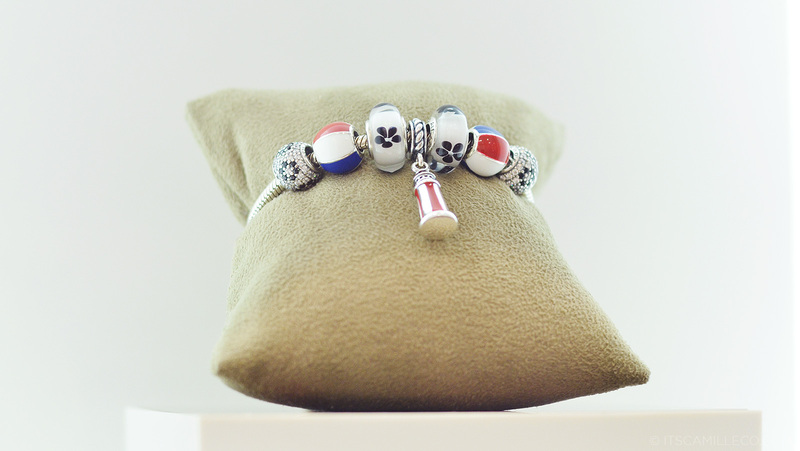 You can even make a fourth of July-inspired bracelet like this one! Or a bracelet inspired by the sea perhaps? Pearl of the orient, anyone? Seeing these charms and jewellery clearly brought me to my happy place. Especially when I saw these gold bracelets!!! I died! They’re quite pricey though (for good reason), so I’m sticking to a simple silver bracelet for now. Aside from sterling silver and 14k solid gold bracelets, you can also choose leather or textile bracelet strands if you’re not that into metal. 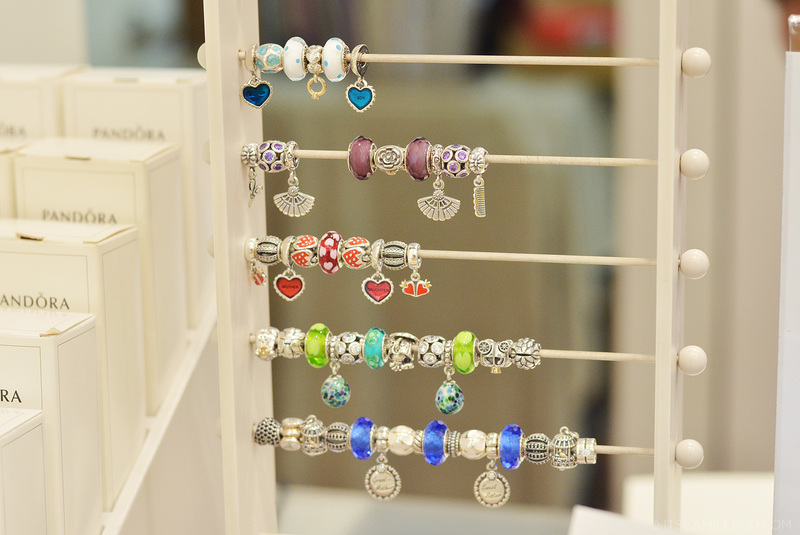 These charms look great no matter what bracelet you choose anyway. I was overwhelmed by the amount of charms I was presented. I literally didn’t know where to start! 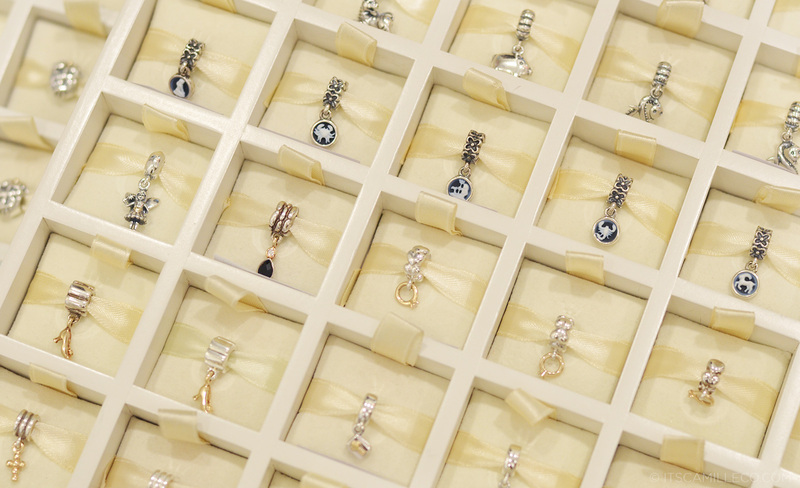 Pandora has over 600 charms. Imagine, SIX HUNDRED!!! So many to choose from! 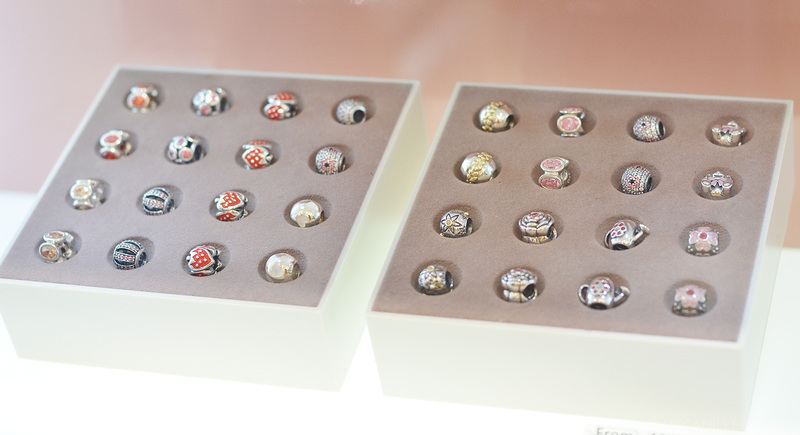 Pandora also has enamel charms and little charms with crystals, diamonds and pearls. It even has zodiac signs!!! Check out the dangling shoe and ring too! These two-tone charms are my favorite! If only, I wasn’t sticking to a budget, I’d fill up my entire bracelet with two-tone, diamond and gold charms! FYI, it took me an hour to pick out my charms, even with utmost concentration! My final pick! I’m always drawn to pearls and all things girly so I chose this pearl charm as my key piece. I surrounded it with a heart charm that has the word love in various languages engraved on it, a treasure chest to symbolize all the things I hold dear and 2 Murano charms to add color to my silver bracelet. What do you think? It’s my first Pandora bracelet! 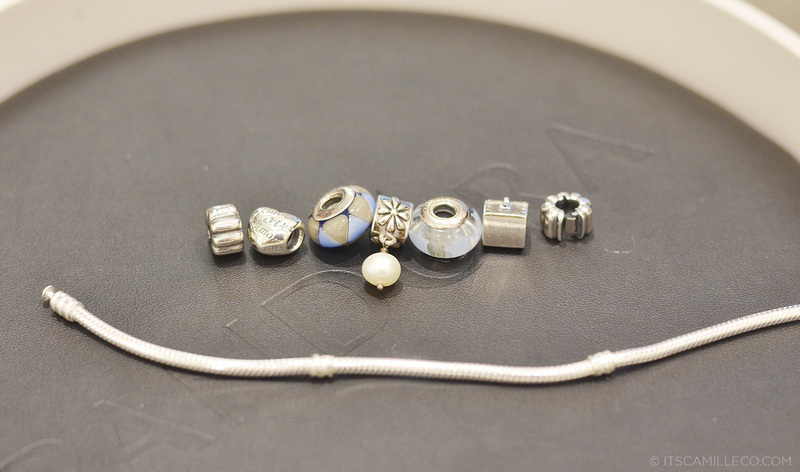 I plan to fill this up with my charms in the future–charms that signifies the milestones in my life. P.S. We’re really happy deep inside, we just don’t look like it here because we didn’t realize our photo was already being taken. Please forgive our half-smiles. :) No girl would leave Pandora unhappy, I assure you. These charms can get addicting! 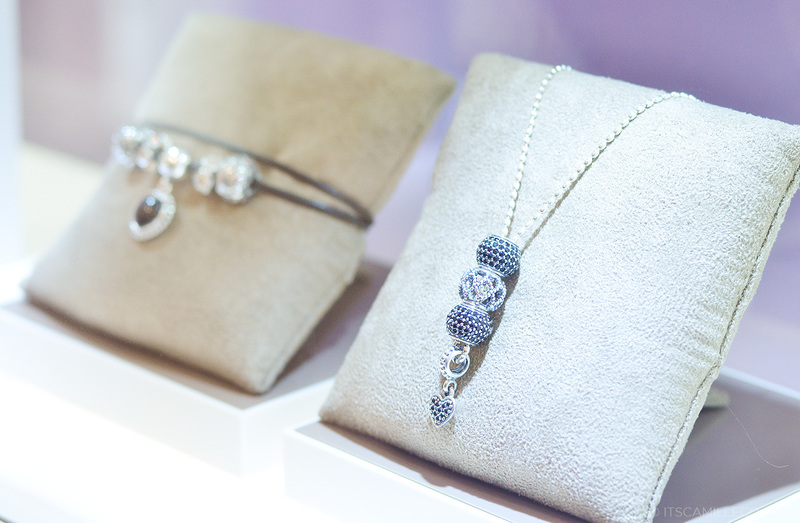 Pandora’s pieces are indeed distinct by allowing the customer to choose their own jewelry components, while still keeping the style and the make of the pieces uniquely theirs. Such intricate designs on every single charm. How much babpo exactly yung silver bracelet? I had the same experience…kinda. My mom was actually the one who first got interested in Pandora. 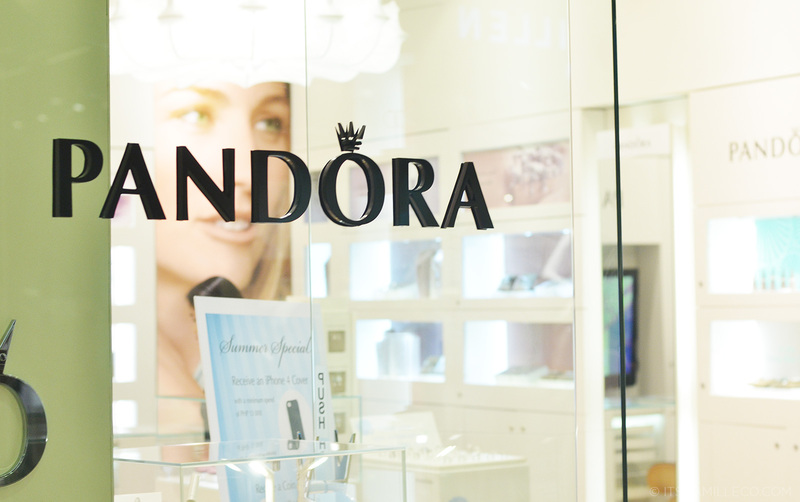 To me back then, Pandora was, well, jewelry and i wasn’t into that. That was 2 years ago and now I just finished my first pandora bracelet. My mom wasn’t using hers and she bought a lot so i had a lot to choose from when I started, but then I realized her charms wasn’t…me. So I took her oxidized silver bracelet and started a collection of my own. I chose charms both meaningful and decorative and something I found pretty. Right now I got my eyes set on their ESSENCE collection. hi ms. camille i will buy pandora bracelet, please help me to choose what bracelet is really nice? hehe thank you!! Hi Ms. Camille! I know this blog was months ago but wanted to know if you have any idea how much it costs to have a simple pandora earrings? What are the prices for the charms? The charm you choose are cute, Ms Camille! There’s a Pandora outlet in my place too but i haven’t got myself one yet because it’s a bit pricey.. but i promise myself i will get one when i can afford it.. because the charm itself is already pricey.. i cried when i saw the price.. i only admired when i enter and of course, no one served me.. haha.. not to say they didn’t serve me at all.. i only went and ask for the price..
Antaray ng smile ni Miss Kryz. Mukhang tuwang-tuwa naman si Miss Lissa, oh. Di naman halata na you’re into pearls Ms. Cams, I just noticed you’re necklace. Hahaha oo nga, hindi kami na-brief ni Kryz :) I LOVE PEARLS! Wow! 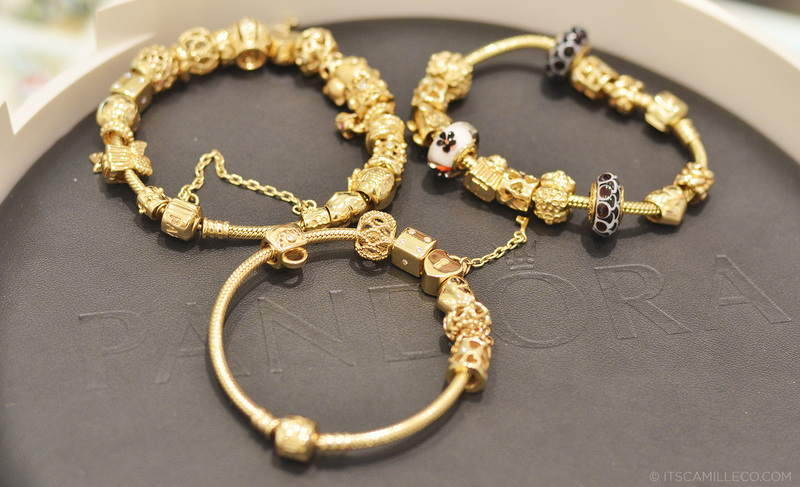 If ever I’ll be rich, I’ll definitely buy a bracelet with charms from Pandora! I somehow thought that you would pick a ribbon charm. hehe. still, it’s a beautiful bracelet. :) which bracelet strand did you choose? hi camille any idea how much is the pandora gold bracelet? thank u so much. Beautiful photos! I like the one of you looking over the pieces, not sure which ones to go with :) I know I’d feel the same way! Yup! :) It’s a great experience! Omg everything looks sooooo pretty! Makes me want to go to the store myself too. for you, since you love bows and ribbons. Haha! Right??? Like a kid in a candy store! 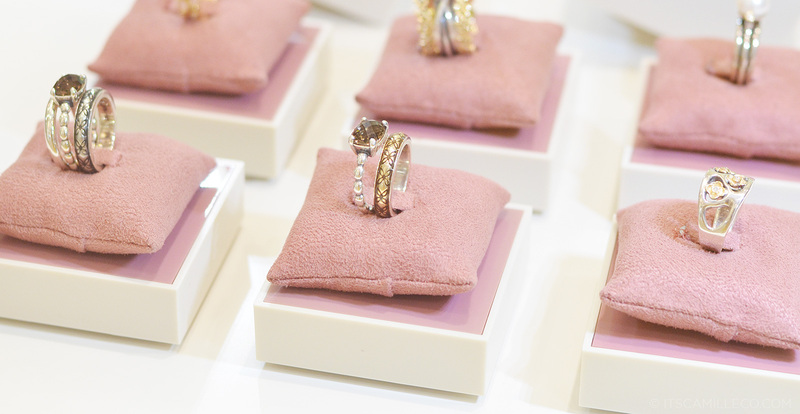 Stunning jewelries ♥ I would really love to go there somedayy!! You’ll surely love it! Thanks Lydia! Which is why it was so hard for me to choose! 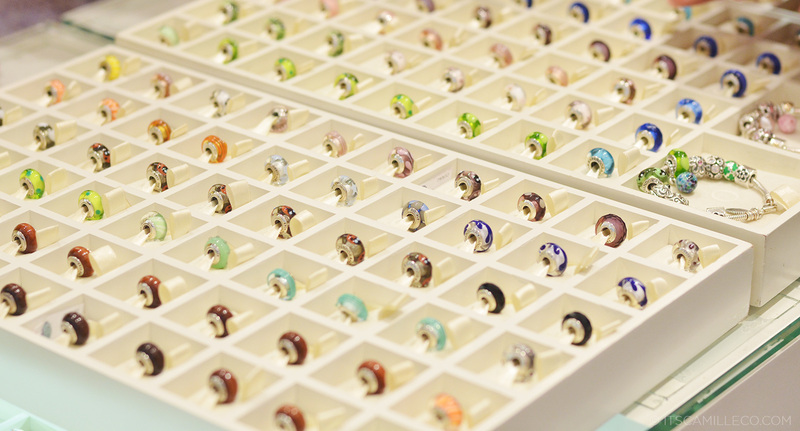 The Murano charms are so pretty! 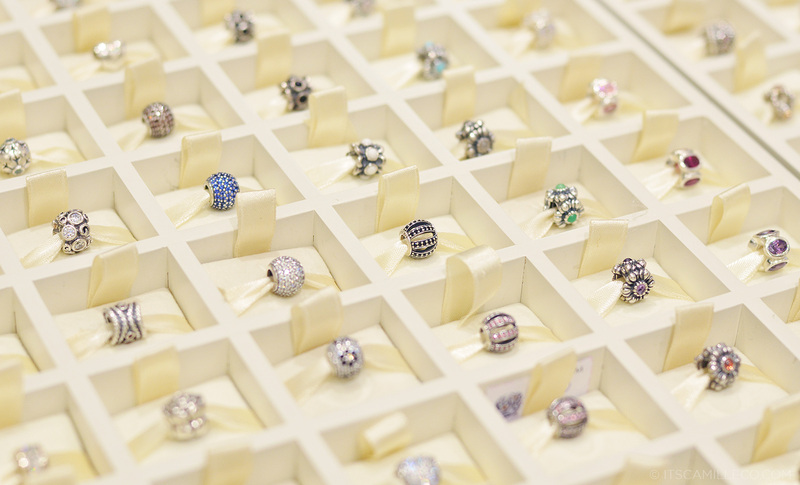 Pandora is indeed a girl’s happy place :) Lucky you! I’d probably design one ala Alice in Wonderland (my favorite childhood movie). Full of bunnies and ribbons, haha! I should check them out one day when I have cash :/ The bunny charms are tempting me @_@ I can’t imagine having to choose from 600 charms. I’ll die, haha! You can totally do that! They have teapots and teacups too!